The R&S®EMF monitor is robust, reliable, and accurate. As an autonomous test station, it precisely and seamlessly detects electromagnetic emissions in the frequency range from 9 kHz to 3 GHz specified by many EMF standards. The wide dynamic range covers both strong and weak signals. 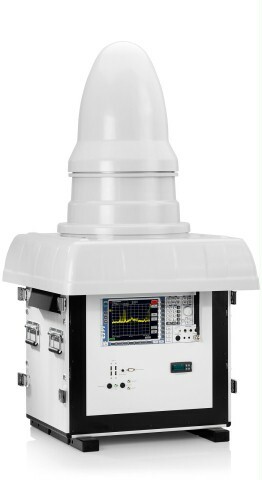 The frequency selective field strength measurement is not dependent on the angle of incidence and polarization, and covers everything from analog modulated signals up to digital, pulsed wideband, or radar signals. Measurement and signal analysis are controlled by the tried-and-tested R&S®RFEX EMF measurement software.